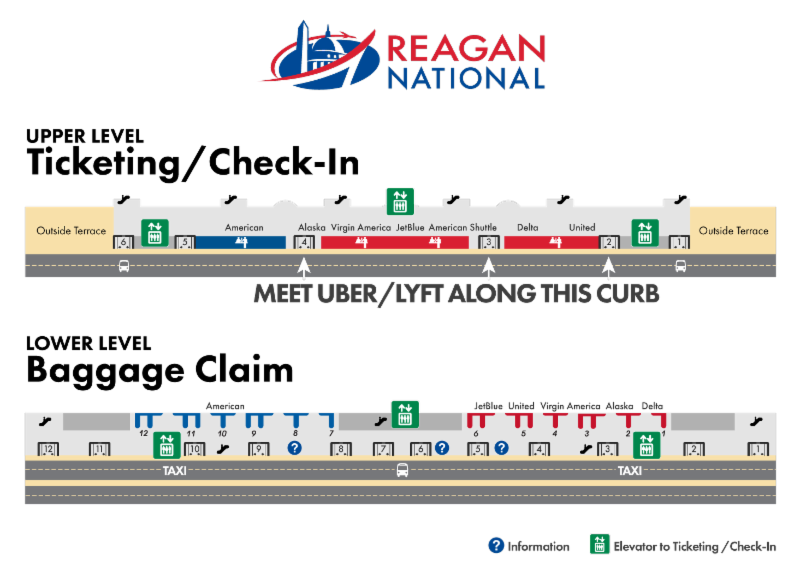 Beginning Monday, March 5, Uber and Lyft pick-up locations for Terminal B/C at Reagan National Airport will temporarily move to the Ticketing (upper) level. Passengers arriving on flights at Reagan National Gates 10-45 should proceed upstairs to Ticketing (Level 3) to meet their rideshare driver. Rideshare apps will notify passengers of pick-up location options when they request a ride. The options will be outside Doors 2, 3 or 4 along the Ticketing curb. Signage inside Terminal B/C will remind travelers of the change. Uber/Lyft service at Terminal A will not be affected. The change will be effective Monday, March 5.